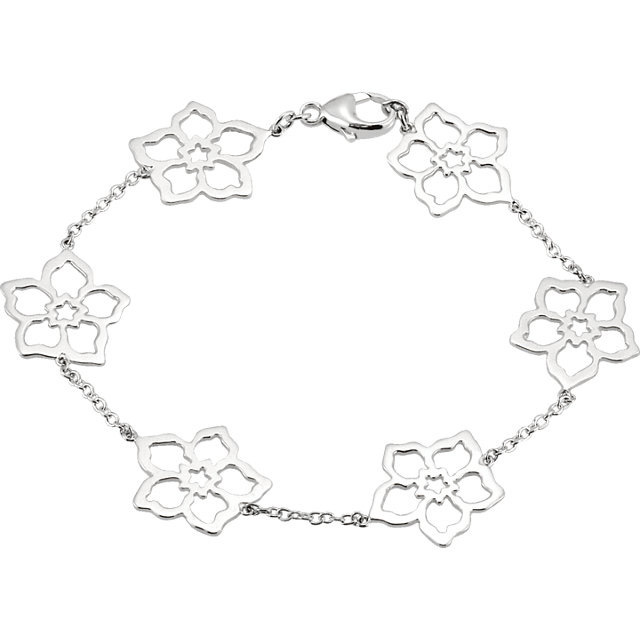 Six beautiful and delicate flower pedals in 14k white gold adorn this cute solid 14k white gold bracelet from Apples of Gold Jewelry. 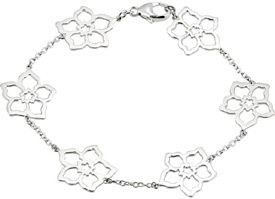 Bracelet measures 7" in length and is secured by a lobster-clawp clasp. Bracelet weighs approx. 6.63 grams of solid white gold. 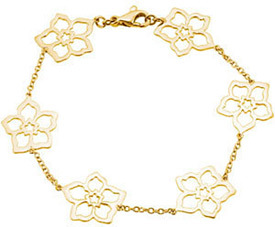 This bracelet is also available in 14k yellow gold or sterling silver (shown below). Free shipping is included within the U.S. - as always - with all Apples of Gold Jewelry shipments. International shipping is also available! 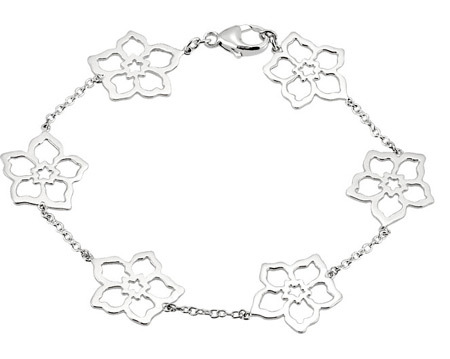 We guarantee our Flower Pedal Bracelet in 14K White Gold to be high quality, authentic jewelry, as described above.